What Code Lead Do I Need For My Roofing Job? Which VELUX Flashing Do I Need? What Do Roofers Need to Know About BS 5534 Changes? 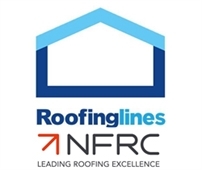 Roofinglines is now a member of the National Federation of Roofing Contractors. Find out what being an NFRC member means for Sterlingbuild ltd and our standards. Low in cost, weight and maintenance, plastic guttering is rightly one of the UK's most widespread guttering systems. We explain why in five reasons. uPVC gutters are available at Roofinglines for 1 working day delivery. Which Roofing Underlay Do I need- Non-Breather or Breathable Membrane? Understanding the differences between breathable membrane and non-breather membrane is key to ensuring a roof space has adequate ventilation and reduced chance of condensation. 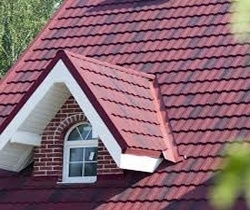 Read the Roofinglines blog for more. 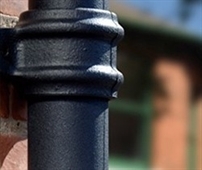 Learn how chimney cowls, cappers and birdguards can protect your chimney from downdraughts, animals and rain this autumn and winter. 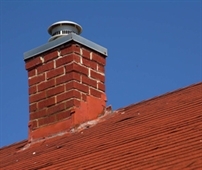 Our DIY chimney pot covers cover redundant chimneys and both gas and solid fuel systems. Eliminate condensation in your loft space and put an end to mould, rot and damp with roof ventilation. Soffit vents and tile vents can keep your home cool all year and are available delivery in 1 working day at Roofinglines. 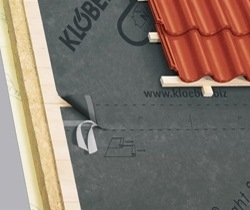 With BS 8216:2018 changes reaffirming that no newly built roofs ridges should be fixed with purely mortar, find out more about the advantages of a dry ridge system, the UK's most popular ridge tile fixing method. 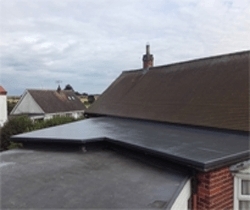 Why Choose A GRP Flat Roof? Find out everything you need to know about GRP roofing, the extremely reliable flat roofing solution that continues to grow in popularity. 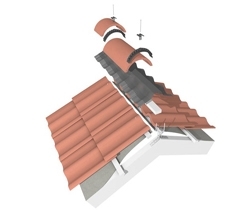 Roofinglines have all-in-one GRP roof kits available for 1 working day delivery. 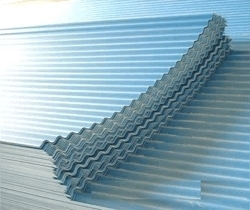 Which Roofing Sheet Is The Best? Choosing the right roofing sheets for your project can be tricky with lots of choice on the market. Read the Roofinglines guide on roofing sheets to help you find the best material for you and your application. 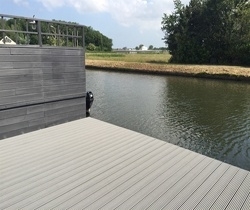 It is time to consider an aluminium subframe system for your next decking application. Aluminium solutions from Ryno and Aslon offer durable and stable alternatives to traditional timber substructures. 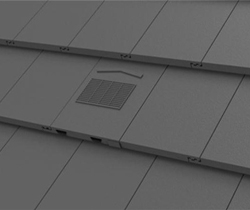 Already Europe's most popular roofing solution, metrotiles are a lightweight, steel roof covering that is one of the most durable and affordable options on the market. Read our blog to find out more.